A loan of $2,600 helped to pay for her tuition fees for four years, for a BSc. in Chemistry. Sokeng is 19 years old, a student freshman, studying Chemistry. She is from the Kampong Cham Province of Cambodia. 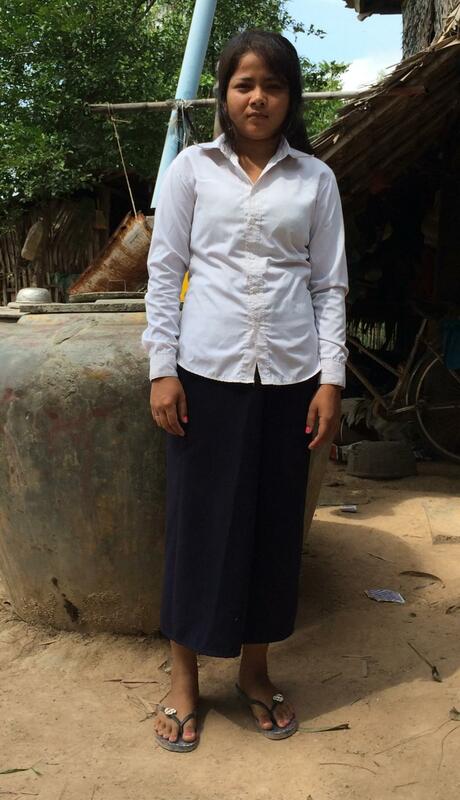 Due to a lack of finances, Sokeng would like to request a loan to pay for her tuition fees for four years. This loan will help her graduate and achieve her dreams. In the future, Sokeng wants to be a chemistry teacher at a high school, build a new proper house and if she has children, she wants her children to study to pursue bachelor’s degrees. This loan is part of KREDIT’s higher education program, targeted to poor, low-income, and middle-income students who would otherwise not have the means to attain a higher education. With Kiva funding, KREDIT has designed a new product to cater to the needs of students. KREDIT believes that all students, regardless of income, should have educational opportunities and sees developing human capital as vital to Cambodia’s future. Please be advised that this loan may carry a grace period while the student is in school that could lengthen the repayment term. Please refer to this loan’s repayment schedule before lending. KREDIT Microfinance Institution Plc., is one of Kiva’s most established partners in Southeast Asia. The organization empowers the economically-active poor and small entrepreneurs by providing inclusive financial services. Beyond loans, KREDIT offers low-income clients complementary training in debt management, savings and budgeting. In addition, KREDIT partners with NGOs to offer training in primary health care, agricultural techniques and HIV/AIDS awareness. For more information on KREDIT, please visit its partner page. If you would like to engage more with KREDIT and its borrowers, you can also join its lending team, KREDIT MFI Cambodia. Kiva chose KREDIT because it serves a high percentage of women, rural and low income borrowers. Additionally, we were impressed by KREDIT’s recent addition of a designated team that reaches out to vulnerable groups like families affected by HIV/AIDS.